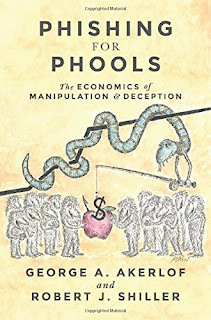 Phishing for Phools explores the central role of manipulation and deception in fascinating detail in each of these areas and many more. It thereby explains a paradox: why, at a time when we are better off than ever before in history, all too many of us are leading lives of quiet desperation. At the same time, the book tells stories of individuals who have stood against economic trickery—and how it can be reduced through greater knowledge, reform, and regulation.